100% Light Blocking — Even on the edges! No More Light Leaks — Even Around the Edges! A good night's sleep is invaluable, leading to a better mood, increased health, longevity, wellness and overall happiness. It is recommended that adults should try and average a full eight hours of sleep per night. However, many people of all ages experience light sensitivity. They require total darkness in order to fully relax and experience the kind of quality sleep that can bring these benefits. LightLock™ is the newest and most complete light blocking system available for Hunter Douglas window treatments. Duette® Honeycomb Shades with LightLock™ are the first window treatments to offer this advanced system of light blocking technology. They use unique U-shaped side channels that overlap the front and back of the shades. The secret to the total room darkening lies within the patent-pending side channel design. It features rows of specially shaped micro-ridges, optimized to absorb or deflect all incoming light while preventing the light from seeping into the room. LightLock™ is a blackout technology available for Hunter Douglas Duette® window treatments. It is one of many features available for these popular honeycomb shades. In addition to LightLock™, Duette® shades are among the most versatile and energy efficient window solutions possible! The insullating honeycomb design keeps the heat out during the summer and the warmth in during the cold winter months. Duette® features innovative honeycomb construction that creates air pockets where light meets color. Duette® insulating shades are available in a standard single-cell design or as the premium multi-cell Duette® Architella® — which features a honeycomb within a honeycomb for maximum energy efficiency. Duette® shades can be horizontal or vertical. 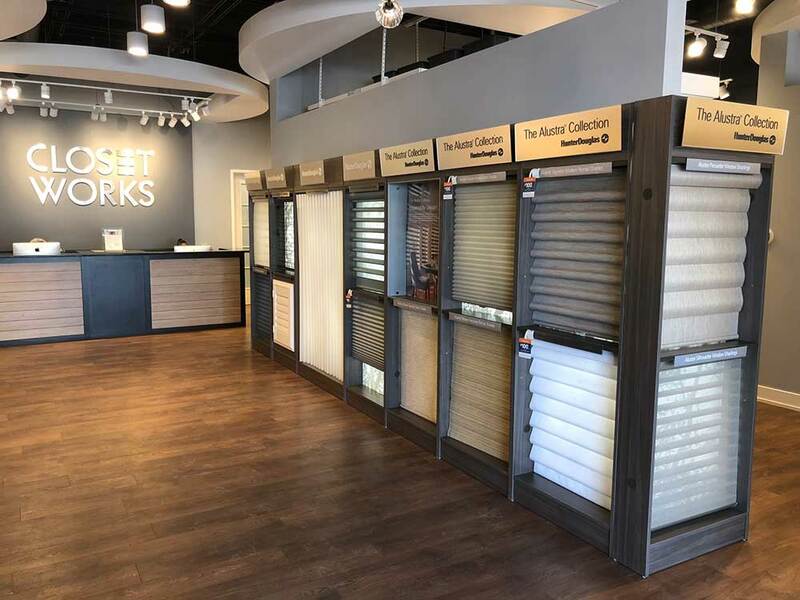 These window treatments are available with motorization, LiteRise®, UltraGlide®, Vertiglide™, Top-Down/Bottom-Up, Duolite®, SkyLift™ and numerous colors/textures. Learn more about Duette® window treatments. LightLock™ is our most comprehensive blackout system for your windows, eliminating all light from entering the room — even small leaks around the edges. Other types of room darkening systems for your Hunter Douglas window treatments include Duolite® — the two-shades-in-one, dual-opacity option for your windows. Duolite® is like having two window treatments on a single headrail. It offers both maximum privacy and ultimate light control in a single window covering, putting day-night convenience at your fingertips. The Duolite® system is available on several styles of window fashions. Learn more about window treatments with the Duolite® system.